Browse jute-bags suppliers by country and region. Product name: STD. B Twill Jute Bag (Suitable for packing 80 -100 kg food grains) Quality: Not Food grade. Suitable for packing rice, wheat Country of origin: Bangladesh Size: 44" x 26.5" Weight: 2.25 lbs/bag Porter & shot: 6 x 8 Other description: Mouth hemmed, overhead dry sewn, 3 blue stripes in the middle, natural jute color, calendared. Packing: 300 bags per Iron bound Bale. Mode of shipment: Per 20ft Container (one 20ft Container = 65 Bales = 19,500 Bags) Mode of payment: 60% payment in advance by SWIFT transfer. Balance 40% within 7 working days after you receive Email copy of BL. Beneficiary Bank detail shall be provided in Proforma Invoice. Inspection: Any reputed survey organization at seller cost. Merchandise : Sand Bag made of 10 oz Hessian Cloth Size : 33" x 14" Porter & Shot : 11 x 12 Weight : 201 grams per Bag Other Description : Mouth selvedge, L type Heracles sewing, 4" vent at the top, 18" long 2 tie string, natural jute color, calendared. Packing : 1000 bags per iron bound bale. Shipment : Per 20ft FCL= 70 bales = 70,000 bags Shipment : Within 35 Days from the date of receiving 1st payment in advance. Port of Shipment : Chittagong / Mongla Sea Port, Bangladesh. Payment term : 45% payment in advance by SWIFT transfer, balance 55% within 3 working days from the date you receive E-mail / Fax copy of B/L. 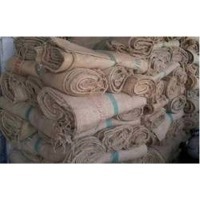 Merchandise: Hessian bag for packing Potato or Oinon Specification: 34 x 20 Inches OR 86.36 x 50.80 CM Porter & Shot: 11 x 12 Bag weight: 7.10 oz per bag Packing : 1000 bags per Iron bound Bale. Mode of shipment: Per 20ft Container. Quantity : 1 x 20ft FCL = 80 bales = 80,000 bags. Shipment: Within 35 days from the date of receiving payment in advance. Mode of payment: 50% payment in advance by SWIFT transfer, balance 50% within 3 working days from the date you receive E-mail / Fax copy of B/L. Beneficiary's Bank detail shall be provided in Proforma Invoice. Inspection: Any internationally recognized survey organization at sellerâ? ?s cost. 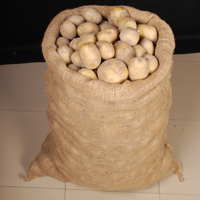 We are one of the leading supply sources for Potato / Onion / Vegetable Bag of any sizes made of 100% natural, biodegradable and Eco friendly Jute Fiber. These bags are also called Mesh bag as well as air ventilation facilities are available in the construction of these particular bag cloth to facilitate for keeping the vegetable fresh. Prompt shipment available. 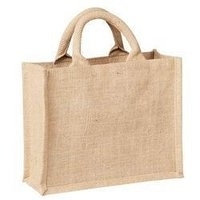 Apart from Potato / Onion / Vegetable Bag also we can supply all kinds of Jute Bags (suitable for Food Grains; Sugar; Flour; Coffee / Cocoa; packing), Cotton Packing Sack, Hessian Cloth, Bleached Hessian Cloth, Sand Bag / Military Bag, Jute Yarn, Jute Felt, Jute Sliver, Soil Saver (Geo Jute), Raw Jute & All types of Jute Goods. Only genuine and professional Buyers are requested to contact along with detail specification, quantity and port of discharge information. Short on time? 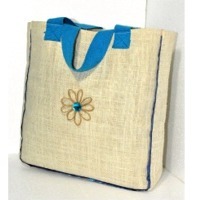 Let jute-bags sellers contact you. Product Description: Hello Sir. We have 70 K.G. One Time Used Jute Bags. Size :- 35 X 23 Inches Weight Per Bag - 500 G To 700 G approx. 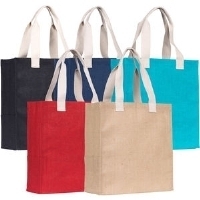 Juco Promotional Bags: Product Code : OM-0130B Size/Dimensions : 16 W X 14 H X 6 G inch Colour : As per your requirement Material : Juco Handle/Strap : Cane Handle Description: We are leading manufacturers & exporters of Cotton Jute Promotional Bags which is made from Juco fabrics, blend of jute & cotton. It’s very smooth, durable & attractive fabrics. Juco fabrics is little costly than jute fabrics but its smoothness more better than jute. Promotional Bag can be made from Juco fabrics. Printing quality is better than jute. customised Cotton Pencil Case: Product Code : OM-0125E Size/Dimensions : 22 W X 13 H cm Colour : Natural Material : 10 oz Cotton Handle/Strap : No MOQ : 2000 pcs. 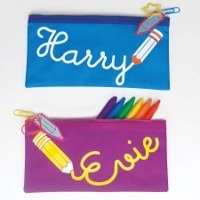 Description: We are manufacturer and exporter of handmade customised cotton pencil case from Kolkata. We use premium quality 10 oz cotton for making this pouch. It can be available with any particular shade or size for bigger quantity. This pouch can be printed with your logo or brand. Floral Jute Bags: Product Code : OM-0111U Size/Dimensions : 35 W X 40 H X 15 G cm Colour : Natural & Dyed Material : Jute Handle/Strap : Cotton Webbed Handle(50 cm) MOQ : 2000 Pcs. Description: We are manufacturer of floral jute bags. Body is dyed jute and gusset is natural jute. Popular size for this bag is 35 W X 40 H X 15 G cm. Jute Promotional Bags: Product Code : OM-0112ZO Size/Dimensions : 40 W X 40 H X 20 G cm Colour : Natural Material : Jute Handle/Strap : Cotton Tape Handle MOQ : 1000 Pcs. Description: We are manufacturer of jute promotional bags with your own brand. This bag is best for any event. For promotional bags we should care about three points. 1. How useful 2. Cost 3. 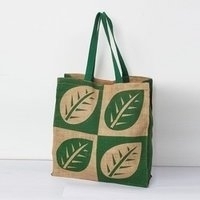 Eco friendly or not With these 3 parameters jute promotional bag is the best choice for the companies who are very conscious about the environment. Floral Jute Bags Product Code: OM-0111U Size/Dimensions: 35 W X 40 H X 15 G cm Colour: Natural & Dyed Material: Jute Handle/Strap: Cotton Webbed Handle(50 cm) MOQ: 2000 pcs. We are manufacturer of floral jute bags. Body is dyed jute and gusset is natural jute. Popular size for this bag is 35 W X 40 H X 15 G cm. Product Code: OM-0112ZO Size/Dimensions: 40 W X 40 H X 20 G cm Colour: Natural Material: Jute Handle/Strap: Cotton Tape Handle MOQ: 1000 pcs. We are manufacturer of jute promotional bags with your own brand. This bag is best for any event. For promotional bags we should care about three points. 1. How useful 2. Cost 3. 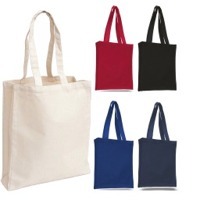 Eco friendly or not With these 3 parameters jute promotional bag is the best choice for the companies who are very conscious about the environment. With a dream to create a healthy relationship between natural living and you, and with a dream to produce high quality products that inspire hope, this is our immense pleasure to invite you to Global Jute Cotton. Jute [the golden fiber] is a Smart, Versatile, Fashionable, and most importantly the popular ECO-FRIENDLY fabric. It is due to its eco-friendly character, the demand for jute yarn, jute fabrics and other jute items are increasing rapidly. 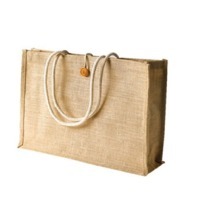 We are one of the widely acclaimed suppliers of Jute Bags. These products are specially designed for carrying and transporting goods and materials. 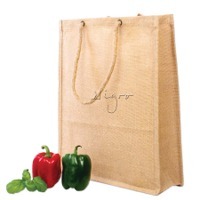 Our supplied Jute bags are perfectly stitched for ensuring longer serviceability and durability. The offered products are available at very cost effective market selling rates. 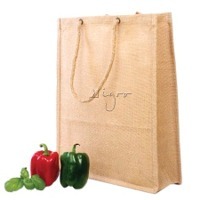 We are one of the widely acclaimed suppliers of Jute Coloured Bags. These products are specially designed for carrying and transporting goods and materials. Our supplied Jute coloured bags are of high quality & perfectly stitched for ensuring longer serviceability and durability. The offered products are available at most competitive of market rates. 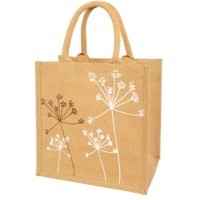 We are one of the widely acclaimed suppliers of Printed Jute Bags. These products are specially designed for carrying and transporting goods and materials. Our supplied Printed Jute bags are perfectly stitched for ensuring longer serviceability and durability as well as for fashionable and stylish looks. The offered products are available at very cost effective market selling rates. 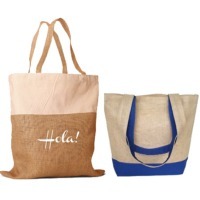 We are one of the widely acclaimed suppliers of Customized Jute Bags. These products are specially designed for carrying and transporting goods and materials. 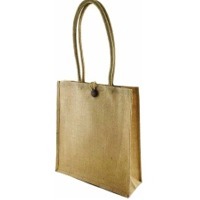 Our supplied Jute bags are perfectly stitched for ensuring longer serviceability and durability. The offered products are made to available as per the customization and requirement of the buyer at very cost effective market selling rates.